In December 2009, the Deep Down Under Expedition (www.deepdownunder.de) explored the deep fore-reef slopes of the Queensland Plateau’s western reefs in the Coral Sea to a depth of 850 m. Due to its rich biodiversity and heritage value, the Coral Sea was declared a Conservation Zone (Coral Sea Conservation Zone, CSCZ) by the Australian Government in May 2009. 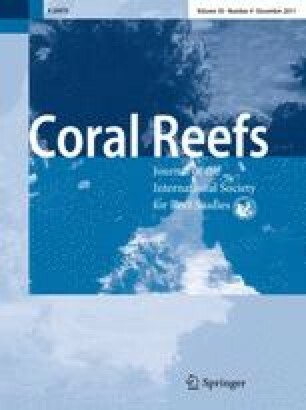 However, while the uniqueness and importance of Coral Sea shallow-water reefs have been recognized, knowledge of sub-photic benthic communities is deficient (see also Bongaerts et al. 2011). An inspection-class remotely operated vehicle (ROV ‘Cherokee’, Marum, Bremen) was deployed at Osprey (13°50S 146°32E) and Bougainville (15°29S 147°05E) Reefs to explore deep aphotic benthic communities. For the first time in tropical eastern Australia, gardens of precious corals (Corallium sp. ; Fig. 1) as well as rock sponges (‘Lithistida’) and cold-water corals (Madrepora sp.) (Fig. 2) were discovered on the walls of Osprey Reef near North Horn, in depths of 265 and 375 m, respectively. Several new species of glass sponges that have reef-building potential were also recently described from deep Osprey Reef (Dohrmann et al. 2011). 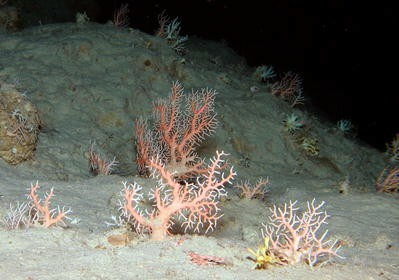 The discovery of these previously unknown and unique communities on the deep Coral Sea fore-reefs underpins the importance of the CSCZ as an exceptional biodiversity resource that warrants continued protection, scientific exploration and documentation. We would like to thank the German Science Foundation (DFG, Projects Wo897/7-1, Lu839/2-1) and the German Excellence Initiative (Courant Research Centre of Geobiology, Göttingen) for funding, the Marum (Bremen), ROV pilots Werner Dimmler and Nicolas Nowald, all cruise participants, as well as the Pacific Marine Group, Townsville, for exceptional support. 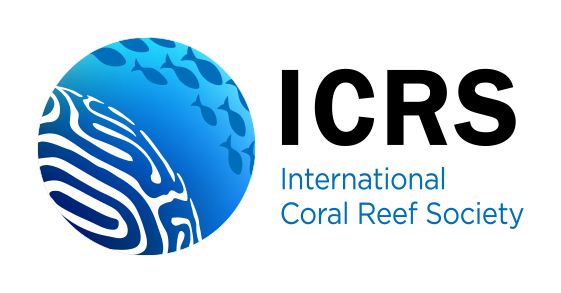 Phil Alderslade, Carden Wallace, Rob Beaman, Néstor E. Ardila E., and Stephen Cairns are acknowledged for assistance in Corallium sp. identification.